Tegoshi and Ame have their first fight. Why on earth would they fight? Chen couldn’t take the news of Kris filing lawsuit just a few days before their first concert very well. So he pushed himself to an extra intensive practice, and Liyin just happened to pass the practice room where he tired himself out. 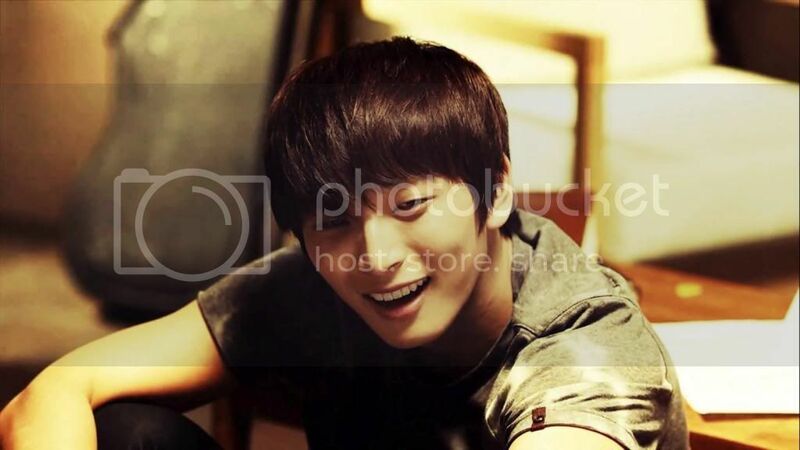 Jinwoon just couldn’t stand not bugging this girl during her special time every day. She shoved him away like every other day (because her coffee is always way more important than him). But today, Jinwoon decided it’s time to change the storyline of their morning routine and put some clear lines to the state of their relationship. Myungsoo can’t understand her. It’s his birthday. Shouldn’t he be the one to receive those kisses and hugs instead of that particular big, fluffy thing? It was Kris’ birthday. His first birthday after his marriage. He wanted to spend it only with his wife. He even took a day off. But a four year old toddler came into the scene and ruined his supposed to be perfect day. The hot, good-looking face of Infinite was trapped in a lift with a girl. But she didn’t initiate any conversation with him.